eBags, founded in 1998, is an online commerce pioneer and considered a market leader within the luggage retail space having won the prestigious Multichannel Merchant Website of the Year award multiple times. As eBags continues to grow, it uses Fanplayr as a means to stay ahead of the digital innovation curve. eBags has over 60,000 SKUs at widely varying price points, many of those being restricted brands. The difficulty of a one size fits all site-wide coupon implementation was therefore magnified because of their diverse product mix. Sitewide sale banners ads and coupons are often lost in the noise of a complex site. 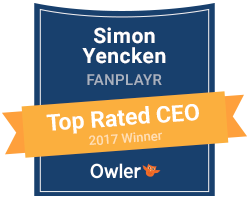 Fanplayr account managers designed a platform wherein offers could be personalized and engaging. The aim of Fanplayr’s campaigns were to convert hesitant shoppers who were just there to browse into buyers. By using Fanplayr, eBags was able to target in real-time visitors of non-restricted MAP brands and were presented with a timely and engaging offer. Shoppers showing interest in restricted brands were offered complimentary, non-restricted products, often from eBags house brand, at a deep discount. This helped create the conversion as well as increased cart sizes and margins associated with eBags own house brand.